Need to design a great title sequence with particles? 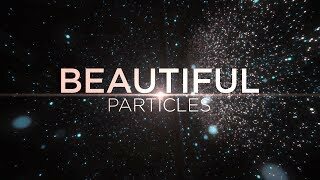 In this After Effects tutorial, we will create beautiful particles with titles. You will need Trapcode Form and Optical Flares in order to follow along with this tutorial. You can download the project file without the required plugins below. There are a thousand different ways to create a great particle sequence with After Effects. To create a nice particle motion graphics, we use the transform parameters within the effect and use rely on the camera to give us the motion that we need. Please let us know if you have any questions and good luck! Great tutorial Sonduck! This really is beautiful work, all while showing us newbies how to use these plugins effectively. I’d love to see some matte painting videos – using only 2d layers (from PS or otherwise) then animating it in AE. I’ve always wanted to learn how to do this to create 2D animations/scenes, but haven’t found a great tutorial yet. Is what the name of font that you used in this video? So cool! I want to try this! oh look. another tutorial who likes to go way too fast. pointless . and it will be great to say what gpu we can buy, used best bay. What yo think about gtx 690 gpu for video editing? Hope you guys enjoy the tutorial and please comment on what you would like to see next from us! Also, open to feedback. Trying to improve our videos! If you’ll be using plug ins, don”t make such tutorials. Or you can give us crack. You’re not making a tutorial, you are just selling a product. why i don’t have trap code on my effects? how to do 3d rotation ?